We believe we exist because of our client's success on the web. To become a member of our family of satisfied clients, click on start now today. We offer custom web design in Miami, Florida. Miami Web Design offers custom Internet marketing services to small businesses and non-profit organizations. We specialize in customized websites, web hosting, SEO and graphic design services. Designing a custom website will help your business rank higher on search engines, gain more traffic and convert more visitors into customers. The term web development encompasses a wide range of programming and web development services. MJM Deisgn is a full-service web development company that offers custom valid HTML5, CSS3 and PHP programming. We also offer iOS/Android apps all under one roof. We develop clean, well commented, scalable code and we’re proud of the custom work we create for you! Search Engine Optimization (SEO) is the process of optimizing a website to rank higher on search engines for relevant keywords that your business wants to target. The SEO we offer is custom to your business and is not outsourced. Our experience in the SEO industry comes from over 15+ years of experience, trial and error and time honored experience. Contact us for a free SEO analysis. 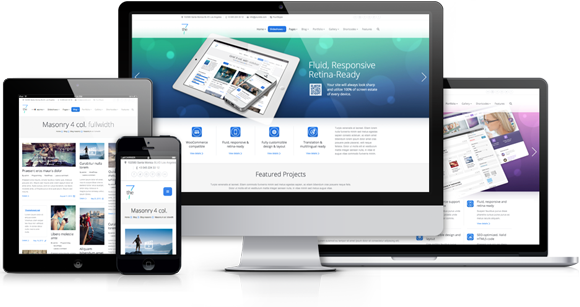 We are proud to develop websites on the WordPress Content Management System (CMS) platform. Each website we build is unique and customized to your business. The benefit to using WordPress is the ability to maintain your website yourself. You can update text copy, add and remove entire pages, embed YouTube videos and add new photos to your photo gallery or portfolio. We believe we exist solely because of our client’s success on the web. We strive for 100% customer satisfaction and to that point, we provide unlimited technical support Monday through Friday 9:00 A.M. to 5:00 P.M. Eastern Standard Time. Our technical support is USA based and your call is always answered by a native English speaking support representative. Our Better Business Bureau accreditation sets the standard for how we conduct business. We are proud to be part of the Better Business Bureau program and to have a flawless A+ rating. Being BBB accredited, we adhere to the strict marketing and ethical business practices outlined by the Better Business Bureau program. We also offer a 100% Satisfaction Guarantee! Miami Web Design is a web design, development and Internet marketing company. Miami Web Design offers custom website design, web development, graphic design, Search Engine Optimization (SEO) and web hosting services to businesses and non-profit organizations. Copyright © 2019 Miami Web Design. All rights reserved.